I love South Florida. I was born and raised here and I will most probably die here. For a long time however, I looked for an opportunity to leave the heat, humidity and bugs of the summer and live somewhere different for a few months of the year. I considered Maine, Vancouver, Alaska and Colorado and a few other places. An opportunity came up to go to Chicago. I’ve always loved it when I visited a great friend from childhood there, so I jumped on it. 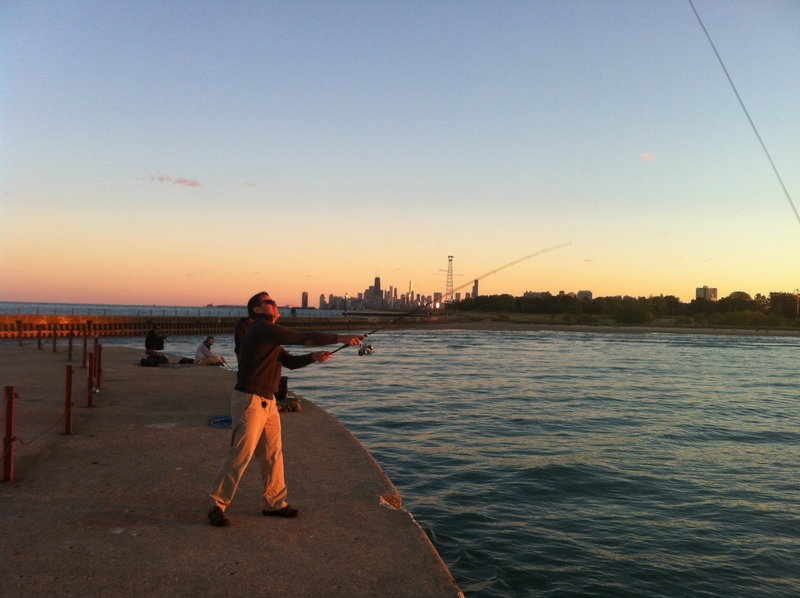 I spent my first summer in Chicago and enjoyed it immensely. The city is fantastic. There is always so much to do, it’s clean, well run and easy to get around. Not only are the people super-nice, they are so happy to get a dose of warm weather and long days that they are literally euphoric for four months of the year. 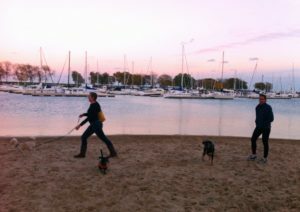 While there is no ocean, there are awesome beaches on the beautiful body of water that is Lake Michigan. In the fall of the first months I was in Chicago my parents came for a visit. One late afternoon we brought my dog Lola to the dog beach on Lake Michigan. It faces Belmont Harbor and it is a very beautiful place to be. While she frolicked with other dogs, we relaxed and enjoyed the view. The sun was setting, the air was crisp and the water was slick-calm. Suddenly we noticed fish rolling right in front of us and they were BIG! As the sun fell lower in the sky the activity increased. Fish were jumping, smashing the surface and rolling all over the place. At one point my dog even barked at them. After a few good leaps, there was no mistaking it. 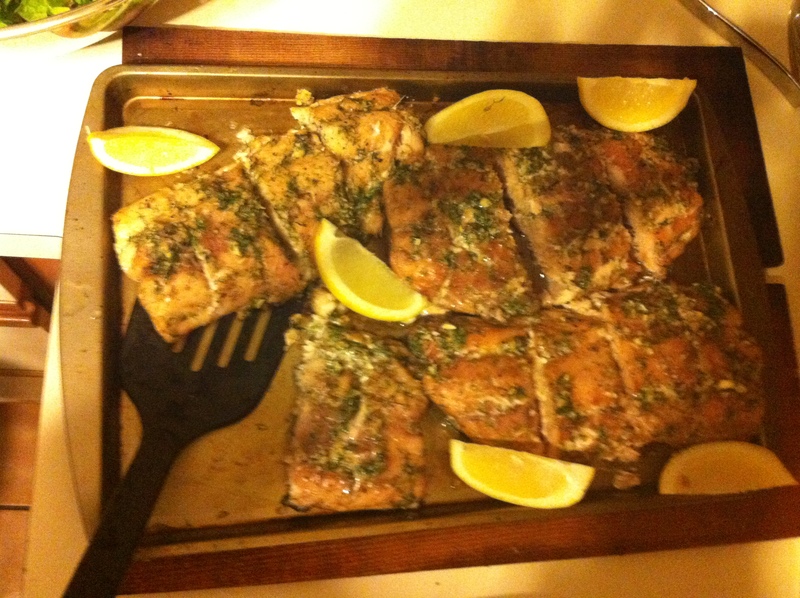 These were salmon! Some of them were at least fifteen pounds! I was amazed. 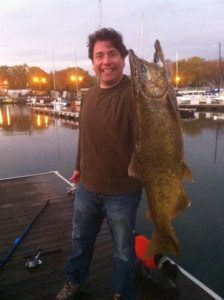 I had been in the Midwest for four months and that was the longest that I had ever gone, by far, without fishing. I was missing it! I couldn’t wait to get back to South Florida and take my first cast. I jumped back into it with gusto upon my return south. 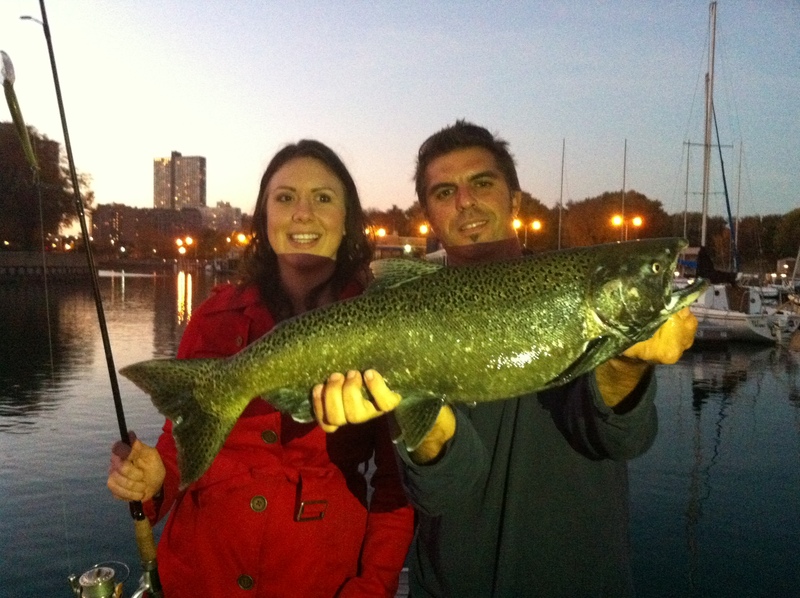 I had a spectacular season of fishing and guiding. 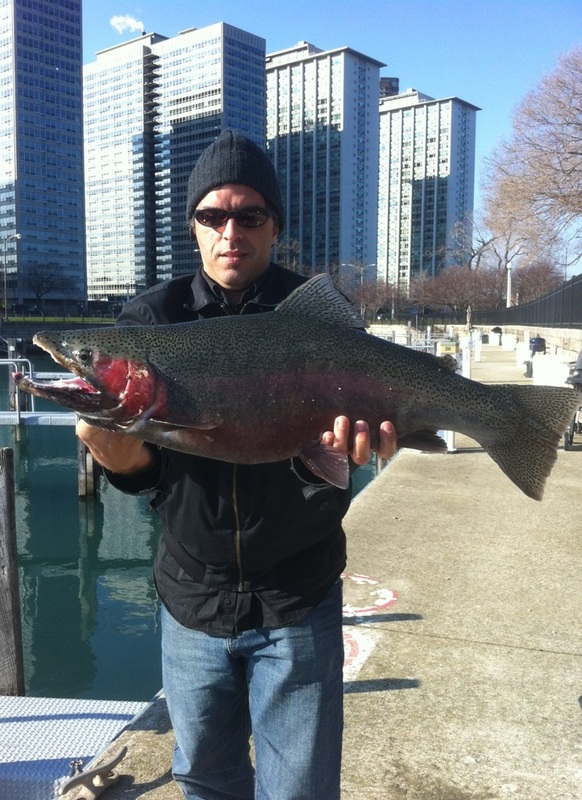 I put a lot of people on a lot of great fish and for me that’s what it’s all about. 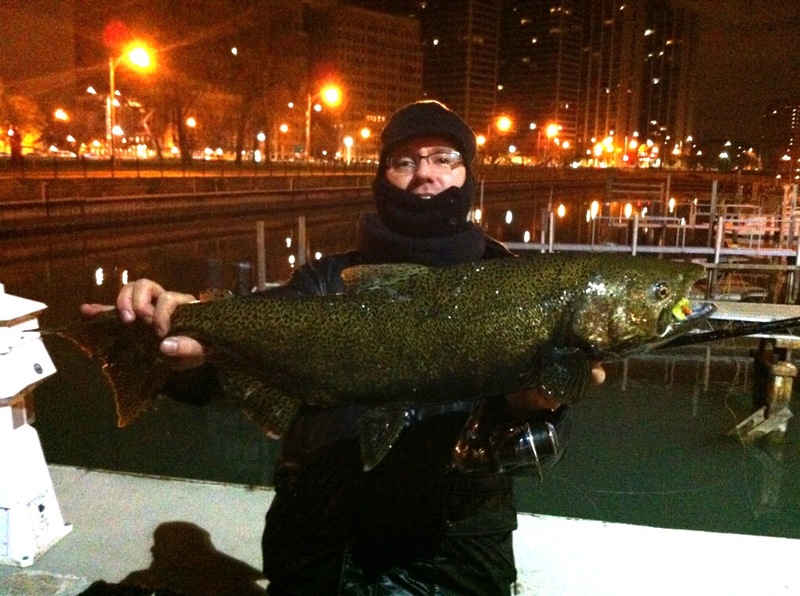 As spring turned into summer and I got ready to head to the mid-west, I vowed to find out the Chicago fishing scoop as soon as I could. It wouldn’t be long before I got the chance. When I’m in the Windy City I work as in real estate. The week I started with my new company they had a happy hour and of course I went. Who knew that this evening would change life as I knew it in Chicago for good? I was speaking to a coworker and telling him about my life in South Florida when a guy popped into our conversation and said, “You’re a fishing guide?” His name was Boris. He was about my age, from South Florida, had the gift of gab and one of the worst cases of fishing fever I’ve ever seen. 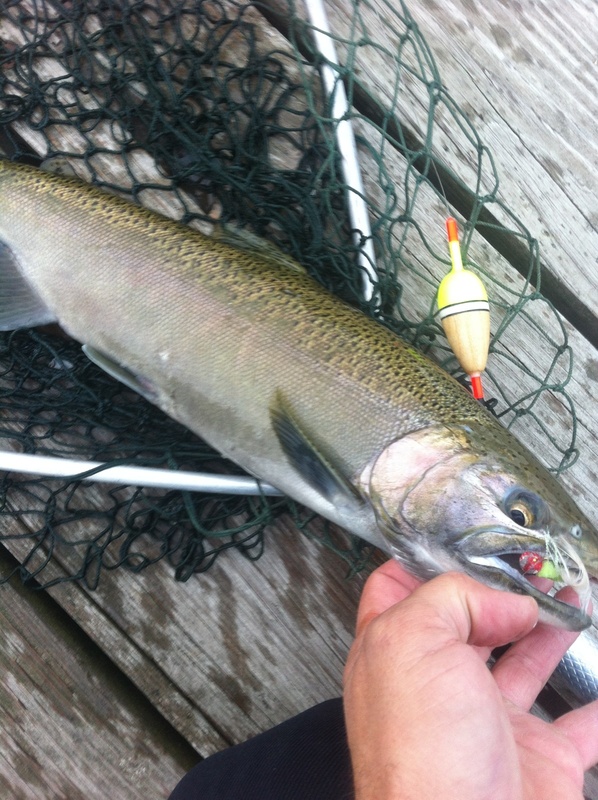 He devoured my fishing stories and my iPhone pictures like fat kid does cake. After a bit he said. 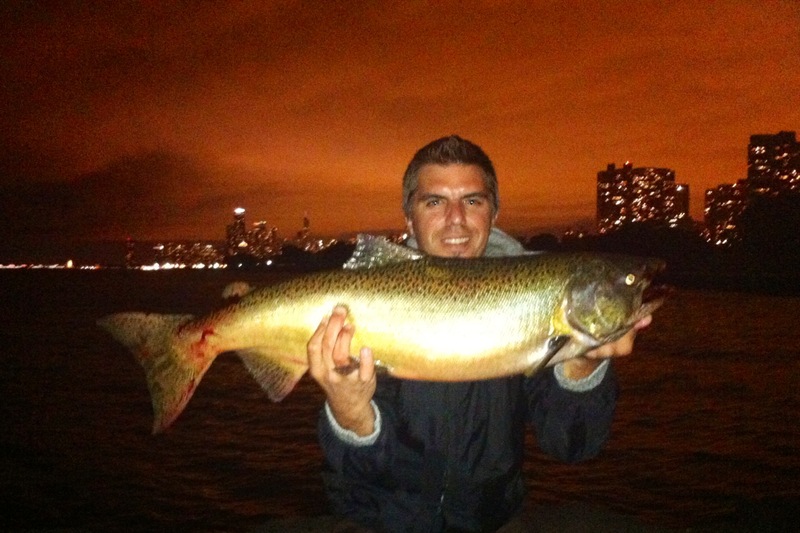 “We catch some nice fish up here too you know.” He pulled out his phone and what I saw blew me away! 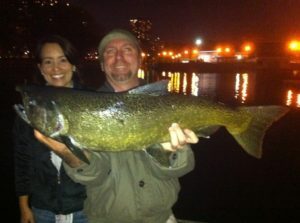 There was picture after picture of beautiful, monster fish! 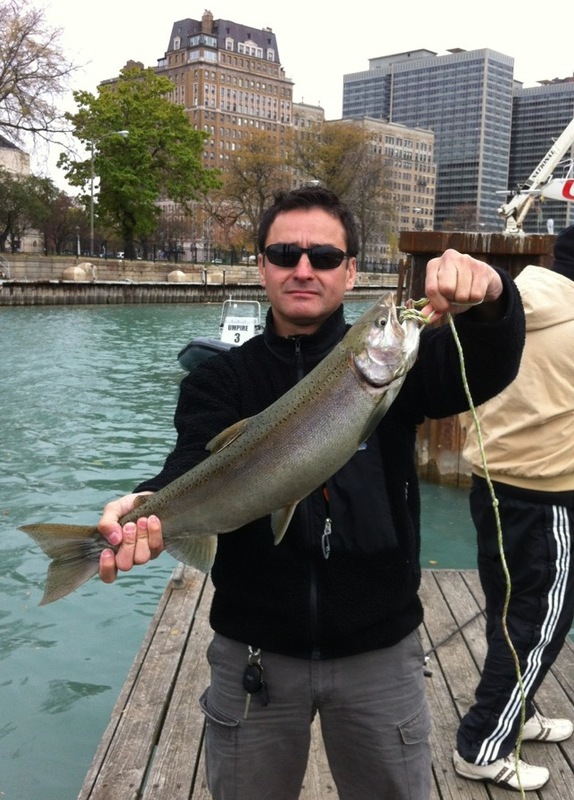 There were king salmon, Chinook salmon, brown trout, steel head and rainbow trout. 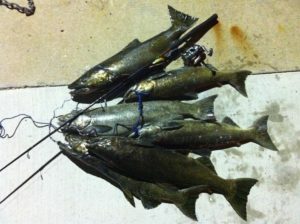 The likes of which I had never seen and all of them were caught from land! We exchanged numbers and he said, “I’ll send you a list of what you’ll need up here. In a couple of weeks the fish will be moving in. A few days later we got together and made a trip to the Bass Pro Shop (In Indiana) and stocked up on a rod, reel, line, a landing net and tackle. Afterward we stopped in to our local bar for a few beers. Boris explained that as the weather got cooler and the fish moved into the harbors to spawn, techniques and tackle would change. It was also possible and very productive to fish at night. Despite being early in the season, he had already fished several nights since I had met him, but had yet to catch one. The following week I had a particularly stressful day at work. I called Boris and he said, “Do you see what a nice day it is? I blew off work this morning. Take a break and meet me out here!” I loaded my fishing rod and my dog onto my bicycle and made the fifteen minute ride to the harbor to meet him. It was one of those days out that make you glad to be alive. It was 65 degrees, there was zero humidity and not a cloud in the sky. 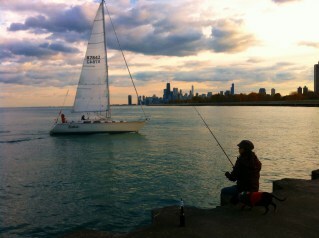 You simply cannot beat Chicago weather in September. 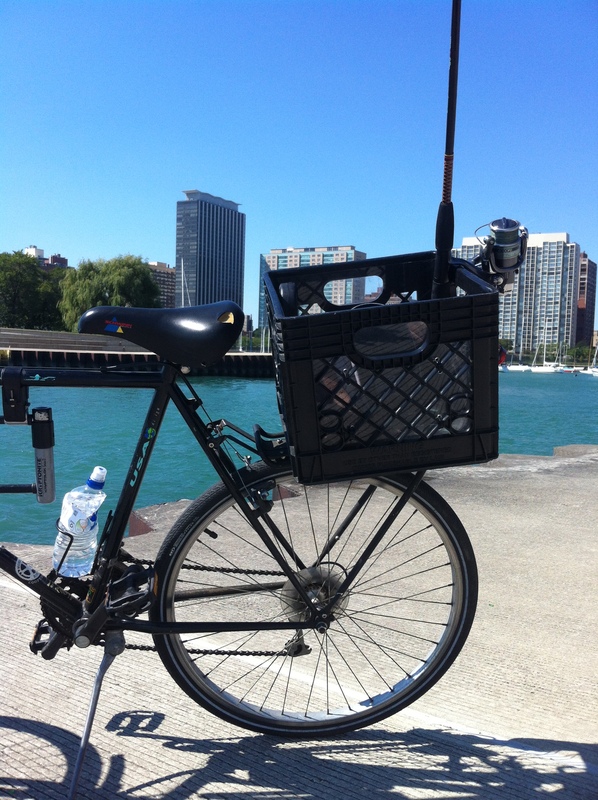 I rode my bike out onto the lake, jumped off and let my dog out of her basket to explore the seawall. 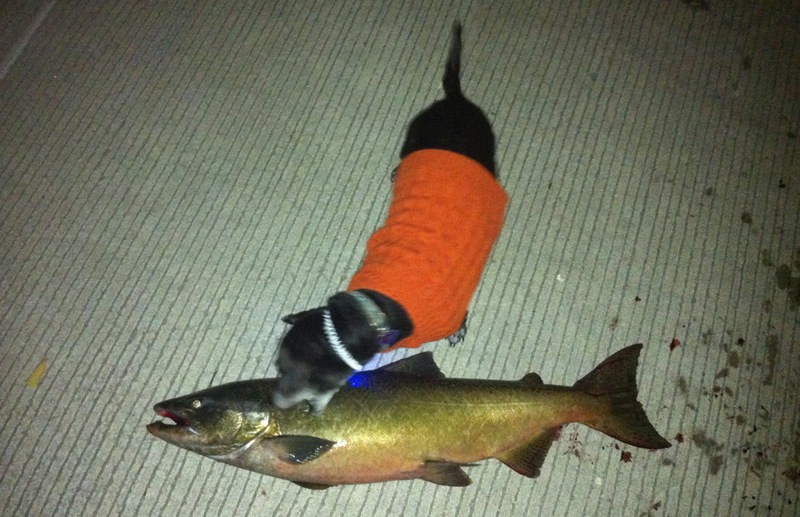 Boris was in “excited fishing mode”. He was casting non-stop, extolling the weather and explaining why the conditions looked favorable to catch that day. 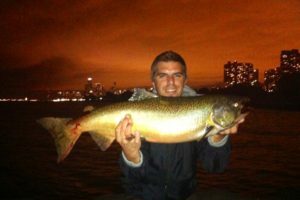 He is one of the most positive fishermen I’ve ever known and the vibe is contagious. I find that it’s true in life and true in fishing. He gave me a half ounce gold and orange/gold KO Wobbler spoon and I got to casting. 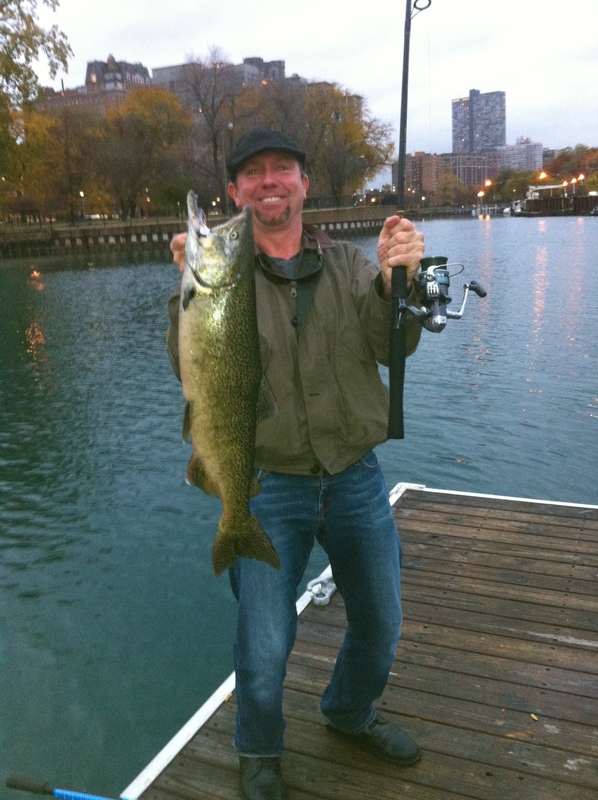 Fishing from shore in Chicago we use Shimano 4000 sized spinning reels, 7-9 foot, 10-15lb rods with 20lb braid and 30lb fluorocarbon leaders. ½ ounce spoons will cast very far with braided line. I was reeling steady, raising the tip and then stopping at 90 degrees and then letting it drop for a few seconds. 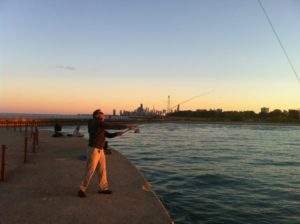 Then I’d reel steady again as I raised my rod tip and then let it drop again. Boris had said he had seen a couple of fish rolling. Sure enough, I saw one pop up just at the edge of my casting range. I threw for all I was worth and let it sink. Wham! I felt a smash on my rod. I set the hook and the fish screamed out line. I could not believe it! Here I was in Chicago on my second try at fishing Lake Michigan hooked up to what I could only assume was a king salmon. I was ecstatic! 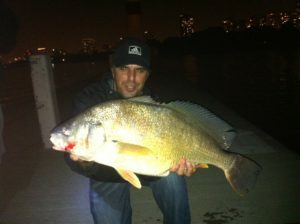 The fish made some great runs out and then parallel to the shore. Just when we thought it’d be ready to net, it’d race off to the left and then shoot off to the right. I’d walk with it on each run while Boris followed with the net. 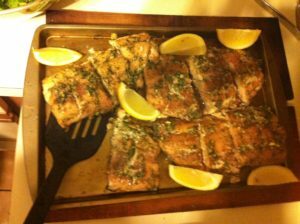 We were very impressed with this fish. Finally, he got his chance, made a great shot with the landing net and hoisted the fish on to the sea wall. We could not have been happier! A jogger had stopped to watch the fight and he was almost as excited as we were. He took pictures for us, congratulated us and went on his way. It was about an 8 pound king salmon. We put it on the stringer and fished for a while longer. Unfortunately, we both had to get back to work. 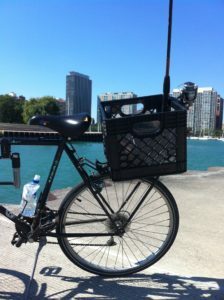 Boris was nice enough to give me, my fish and Lola a ride home so I locked up my bike and left it there. I cleaned my fish, showered and headed to work. 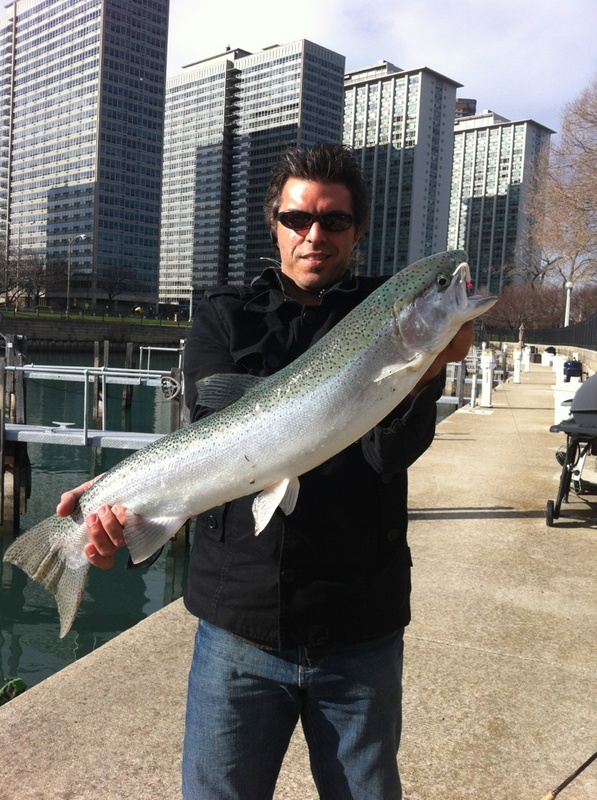 I had caught my first Chicago king salmon and I was on cloud nine! I walked into work with a smile on my face. I had a feeling that it was going to be a good fishing season on Lake Michigan. It turns out I couldn’t have been more right.